View More In Lions, Tigers & Leopards. Once upon a time, in a little village in India, there lived an old woman. Everyone in the village called her Grandma. One day, Grandma received a letter from her daughter, who lived on the other side of the jungle. "Please come and visit me," said the letter. "I haven't seen you in so long. I miss you." And so, Grandma begins a perilous journey to the far side of the jungle. Can she use her keen wit to escape the jungle animals and make it safely home? 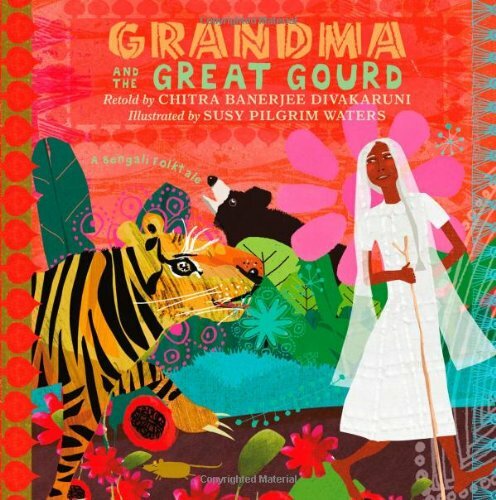 Chitra Banerjee Divakaruni's sharp, rhythmic retelling of this Bengali folktale is complimented perfectly by Susy Pilgrim Waters's brightly colored, captivating illustrations. If you have any questions about this product by Roaring Brook Press, contact us by completing and submitting the form below. If you are looking for a specif part number, please include it with your message.